If you’re reading this, you’re probably a firearm owner (most of our Daily Bulletin readers are). But how much do you really know about the history of the Second Amendment to the U.S. Constitution? The Second Amendment itself contains only 27 words (printed above), but those words have a rich history behind them. To illuminate the origins of the Second Amendment, and to explain how its interpretations have evolved over the years, Arizona Attorney, the journal for the State Bar of Arizona, has published a detailed two-part “Illustrated History” of the Second Amendment by attorney Robert J. McWhirter, an expert on the Bill of Rights. * Part One was just released, and Part Two will be published next month. CLICK HERE to launch eZine with Second Amendment Story. We think all gun owners should read McWhirter’s article, which is both entertaining and insightful. Don’t worry — this is not a dull “law school” treatise. McWhirter’s article features dozens of illustrated footnotes (some fascinating, some merely amusing). Here are some sample footnotes — you can see this is a treasure trove of Second Amendment trivia. *The American Bar Association has just published Mr. McWhirter’s book Bills, Quills, and Stills: An Annotated, Illustrated and Illuminated History of the Bill of Rights. Share the post "Illustrated History of the Second Amendment (Part One)"
Kevin Thomas of Lapua USA recently acquired a bit of living history — a reproduction Model 1873 Trapdoor Springfield. 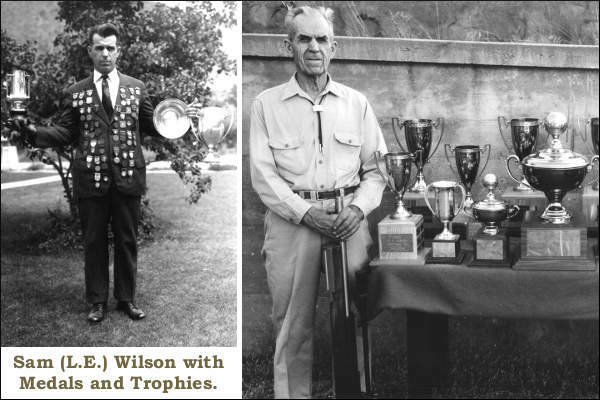 Here is Kevin’s story of his new rifle and the legacy it carries. Share the post "Kevin Thomas Rides with Custer’s Ghost"
Sixty-nine years ago today, on June 6, 1944, Allied forces stormed the beaches of Normandy as part of Operation Overlord, the largest amphibious invasion in history. The ultimate goal was the liberation of Europe. The Normandy invasion began with overnight parachute and glider landings, massive air attacks, and naval bombardments. In the early morning, amphibious landings on five beaches, code-named Juno, Gold, Omaha, Utah, and Sword commenced. During the evening the remaining parachute divisions landed. The D-Day Normandy landings were the first successful opposed landings across the English Channel in over eight centuries. Thousands of soldiers, sailors, and aviators gave their lives on June 6, 1944, so that Europe could be liberated. We should remember those brave men, and never forget that freedom is not free — it requires continuing vigilance and sacrifice. 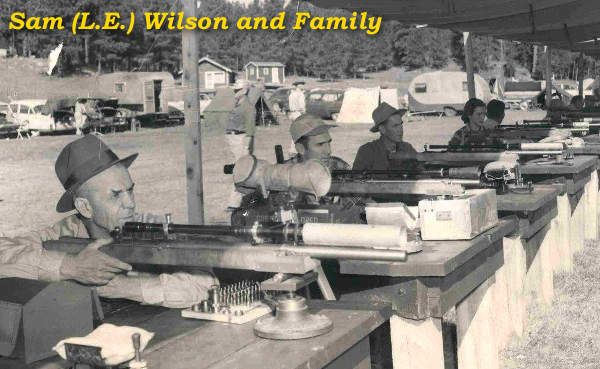 Share the post "Remembering D-Day: June 6, 1944"
The governor’s signature is the only hurdle remaining for a holiday memorializing firearms inventor John Moses Browning. The Utah House voted 64-0 to commemorate the Utah-born inventor on Jan. 24, 2011, the opening day of next year’s legislative session. 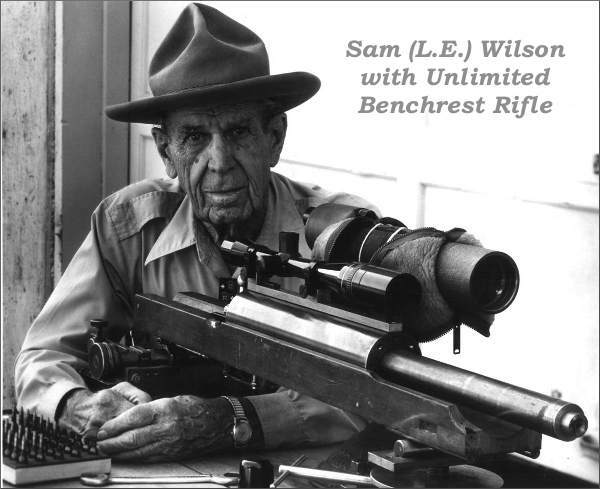 It will come 100 years after Browning invented the Model 1911 pistol, which became the official sidearm for the U.S. military. 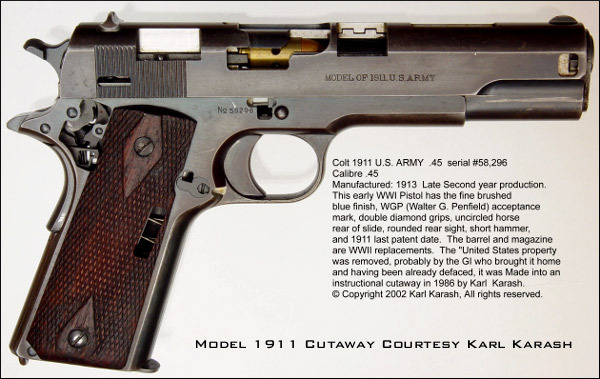 Even today, variants of the 1911 pistol are among the most popular handguns sold worldwide, and the 1911 is THE platform of choice for custom raceguns and self-defense pistols. You have to love Utah’s legislators for voting to recognize J. M. Browning. At a time where states such as California are curtailing the rights of guns owners and demonizing the shooting sports, Utah is doing just the opposite. With this proposed holiday, Utah recognizes the important role Browning and his inventions have played in the history of this nation and the defense of democracy worldwide. We tip our hat to Utah and hope that Utah Gov. Gary Herbert signs the legislation creating John M. Browning Day. Share the post "Utah Legislature Approves J.M. Browning Holiday"